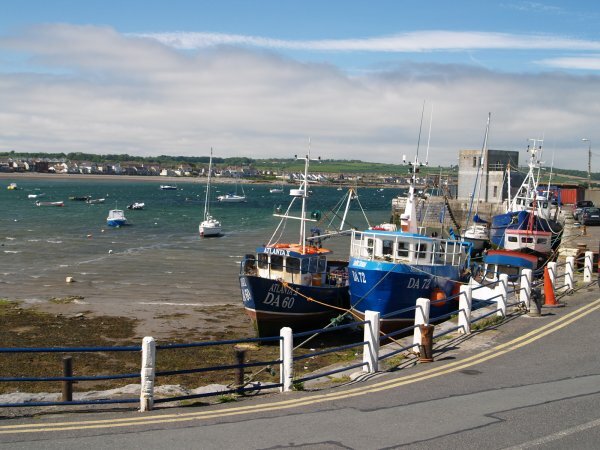 Skerries is a coastal resort north of Dublin and has several attractive features for the visitor to the region. 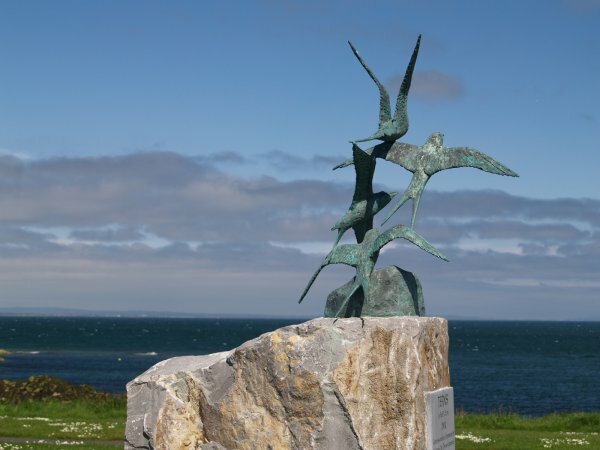 There are a few islands off Skerries which are important bird sanctuaries. 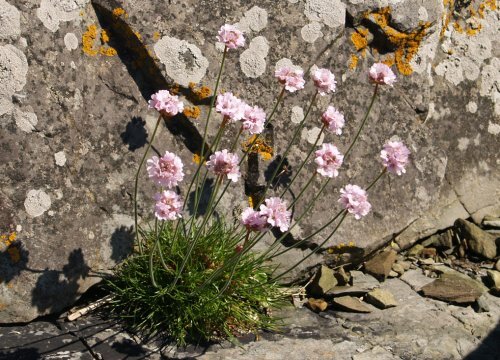 Sea Pink stubbornly growing the rocks. 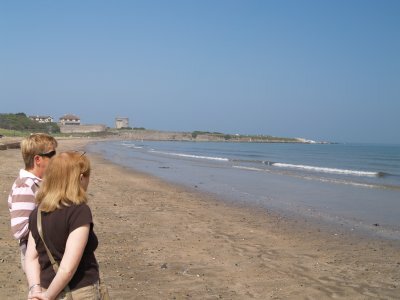 The beach at Skerries which can be part of an extensive walk around from Skerries Harbour. 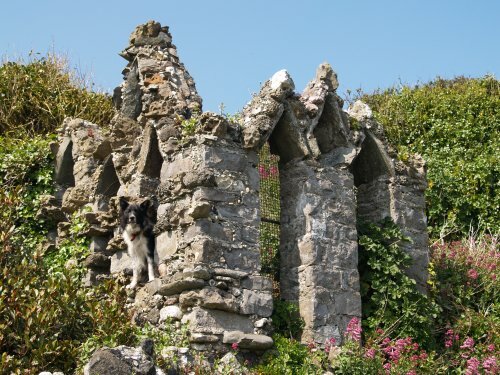 A rather curious folly structure above the beach! 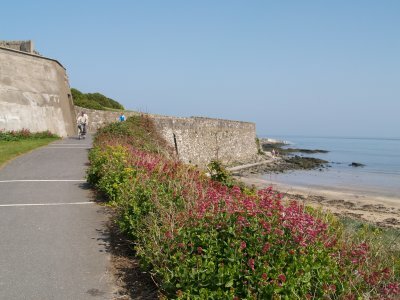 Part of the sea defences at Skerries. 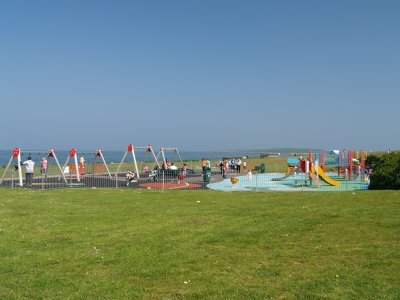 The children's playground at Skerries. 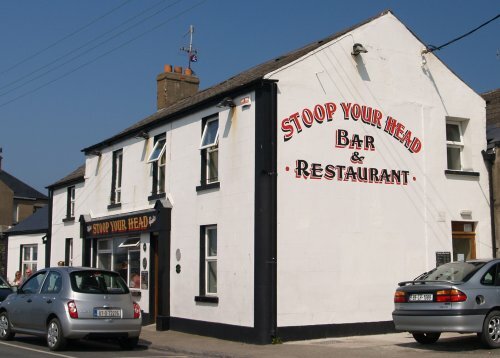 The Stoop Your Head' bar and restaurant is supposed to be a good place to eat. 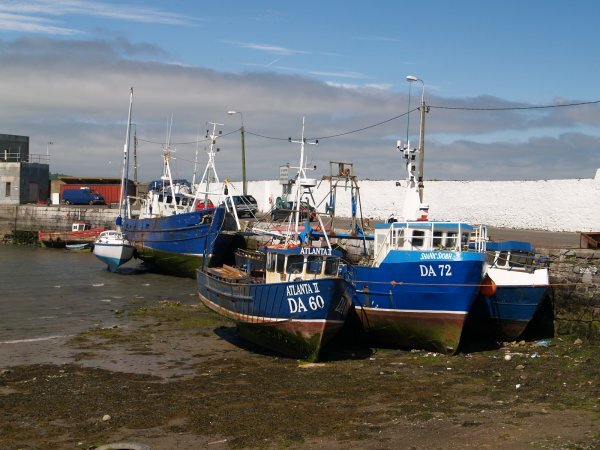 The quiet and peaceful Skerries Harbour once a busy fishing port providing significant employment income to this sleepy ex fishing village.. There is probably more marine tourism than work for fishing boats now far outnumbered by yachts. 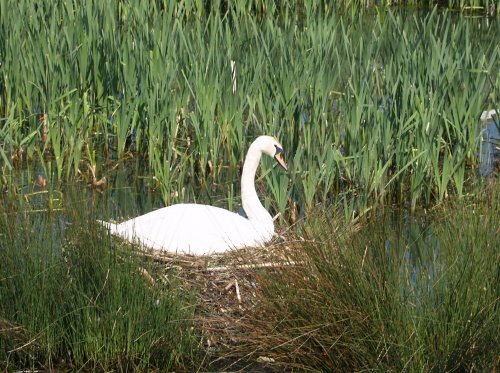 Swans nest on the lake near the major heritage tourist attraction of the Skerries Mills. 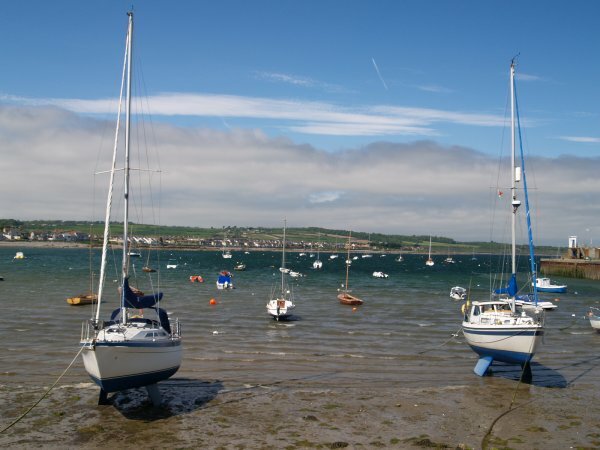 The skyline of Skerries, looking across from the road up to the restored Skerries water and wind mills tourist complex. 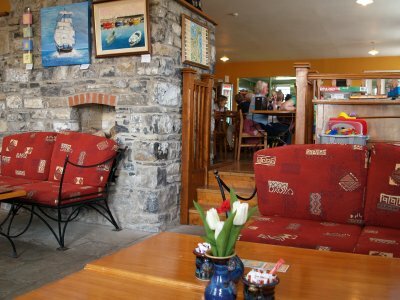 A nice cafe in the Skerries Mill tourist centre. 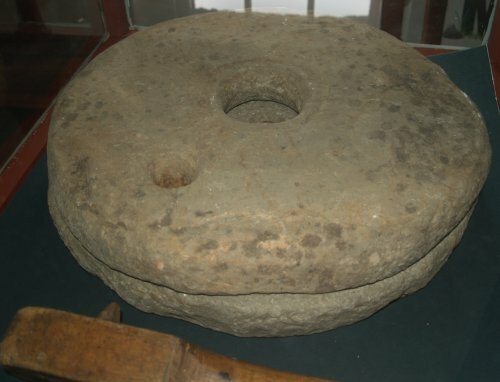 Some of the old grinding stones for milling flour from the old grain mill. 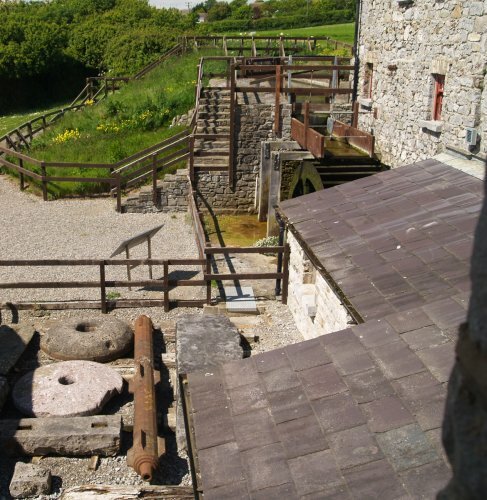 Stone-ground milling on this site dates back to the 15th century and the history is all explained in this interesting heritage centre. 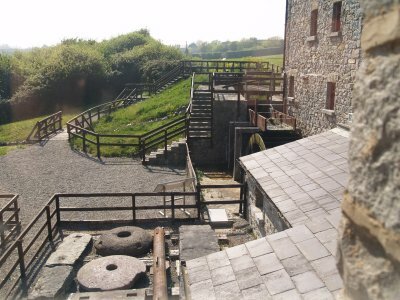 Some older grain grinding techniques are on display in the Kerries Mills heritage centre. A saddle quern and rubbing stone from the bronze age ~1500-500BC from Ovidstown, County Kildare. Below it is a 19th century iron pick for dressing the grinding surfaces of mill-stones or querns. One of the two restored windmills of the Skerries Mills. 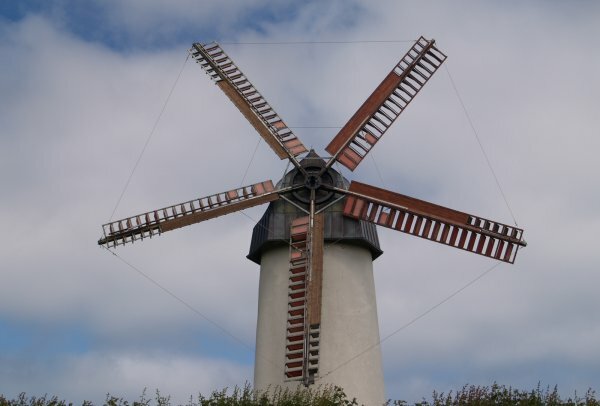 A good view of the set of five restored sails of the windmill. 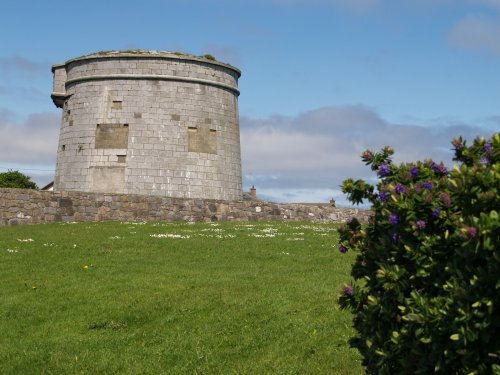 Skerries is a town (large village) in the north of County Dublin. 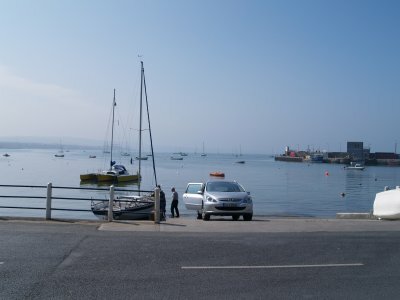 There is decent picnic beach at Skerries and good car parking facilities. 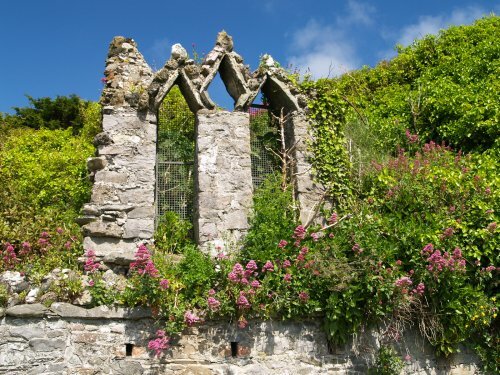 You can walk by the rocks by the sea, around to the harbour or along the beach. There is also a children's playground. 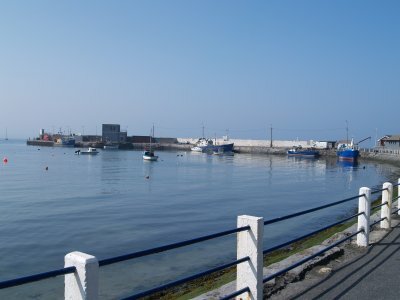 The small harbour is a pleasant area to stroll around and there are plenty of places to places to eat and drink near the harbour or in the main street of Skerries. 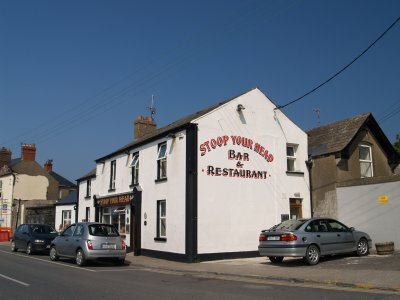 The "Stoop Your Head" Bar and Restaurant 'pub' near Skerries Harbour is a good place to eat. 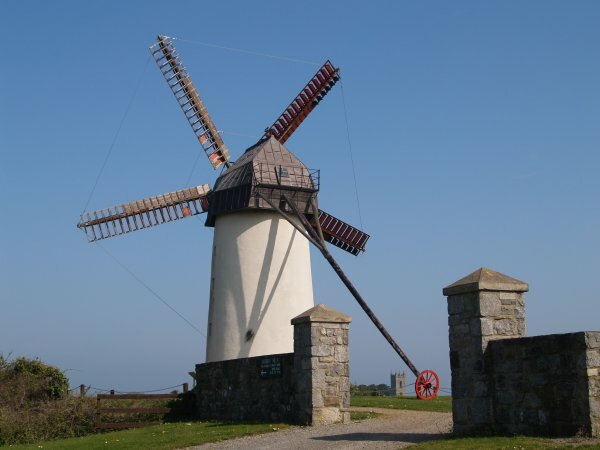 On the outskirts of Skerries there is the Watermill Cafe, Craft Shop and Exhibition Centre at Skerries Mills. 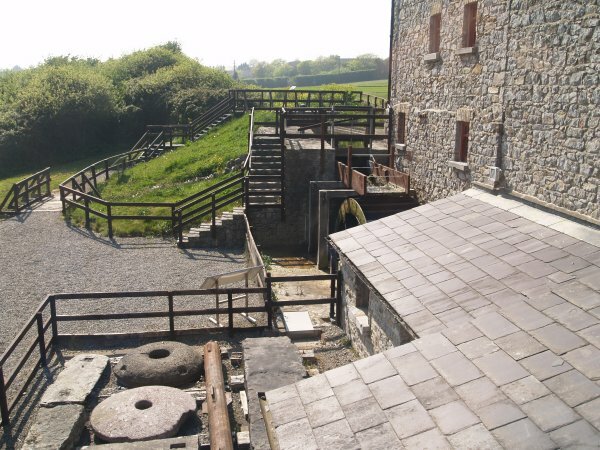 This is worth a visit and the complex consists of a restored watermill and two windmills. The cafe is a good place to relax with some refreshments before facing the Dublin traffic.